The logic of contemporary post-war intervention and proconsulship in both Kosovo and Bosnia-Herzegovina is impossible to divorce from concepts of collective national guilt. Political liberalism is a tradition within international relations that finds its origins in the thinking of US president, Woodrow Wilson. An academic and an idealist, Wilson thought that relations between states could and should be based upon moral principles rather than the brutal and ever-shifting vaguaries of the balance of power that characterised European diplomacy in the nineteenth century. This ideology has recurrently infected US politics, from the drive to promote decolonisation in the aftermath of World War II to the fight against communism in Indochina. It has also been a pervasive theme of western foreign policy in the Balkans since the end of the Cold War. As Yugoslavia disintegrated into bloody violence, US President Bill Clinton’s team of advisors determined that some sides were more responsible than others. 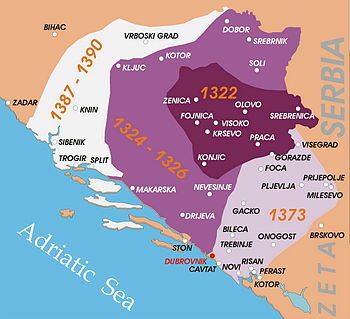 The Serbs and to a lesser extent the Croats were brutal butchers, while Bosnia’s Muslims and Kosovo’s Albanians were for the most part victims of aggression inflicted by others. This factual conclusion shaped the US administration’s moral vision of how post-war Balkan political geography ought to be configured. Bosnia’s Serbs and Croats must not be rewarded for their aggression. Bosnia must remain a unified, multi-ethnic country, notwithstanding the efforts of two of its three ethnic groups to tear the territory apart. 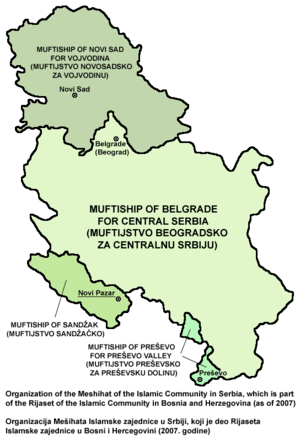 By contrast Serbia must be dismembered, because Serbs cannot be trusted to treat their Albanian minority properly. This inference – from atrocity to moral outcome – would have suited Wilson’s reasoning admirably. Serbian Deputy Prime Minister and Minister of Interior Ivica Dacic stated Tuesday that Serbia wants to join the global counter-terrorism pact. Dacic conveyed this position to the Australian Ambassador for Counter-Terrorism Bill Paterson in the Australian Ministry of Foreign Affairs, the Serbian Interior Ministry released in a statement. Serbia would like to join the global counter-terrorism pact, in which it would assist the tracking down of criminals in cases such as the recent one relating to an Australian citizen born in Bosnia-Herzegovina, Dacic said. Dacic kicked off Monday a visit to Australia by a meeting with Australian Minister for Immigration and Citizenship Chris Bowen on the possibilities of introducing visa facilitation for Serbian citizens. Somalia Piracy Is Not A Water Borne Disease! Piracy in Somalia waters has finally gotten the world’s attention? What took so long? It was, and still is, a phenomenon on the African continent, to which the world is often content to look askance! I have come to believe, without exceptions, that issues affecting Africa are treated by the world, haphazardly, lopsidedly and near nonchalantly, despite protestations to the contrary. There is this, which ought to be labeled as breaking news, the fact that in Somalia, piracy is not a water-borne disease. Some might want to treat the symptoms, but is most probably better to address the root. There are root causes outside and distinct from the outward symptoms which now threatens the world’s commerce and sea-lanes for merchant ships and recreational vessels as well. Piracy on Somalia waters have been going on for quite a while, in fact, a Nigerian vessel, tugboat was held for about a year, and it has just be released as I write these words.